Rocha Residence — Isaman design, Inc. The Rocha residence is Mediterranean inspired home located in a desired San Luis Obispo neighborhood. 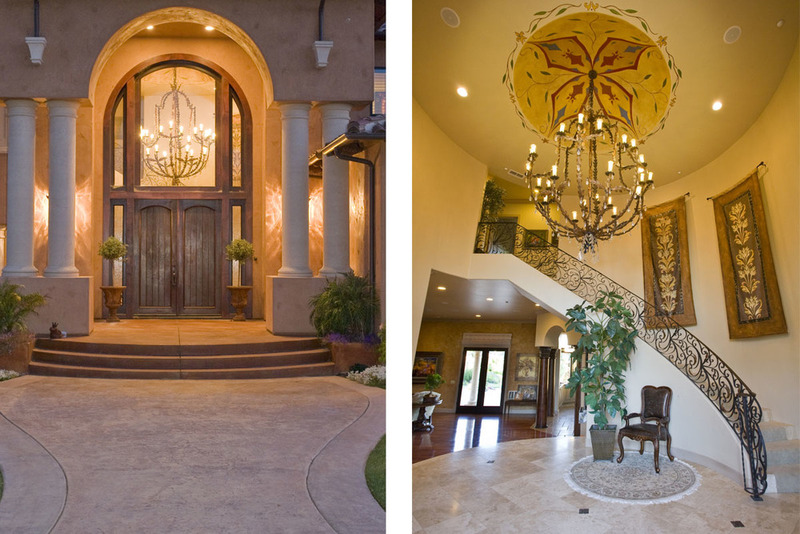 A grand front door and circular stair at the formal entry lead you into a vaulted space complete with a large chandelier. Intricate iron work and tile throughout make this traditional home a detailed masterpiece. The residence includes a detached guesthouse, gym and workshop.